Hello my name is Jill Hughes, leading International Authorpreneur and Wealth Mentor. I spent 23 years working in investment banking, both in the City and on Wall Street. From the first moment I crossed the trading floor, with screens flashing rows of zeros tracking more money than you could imagine, and phones ringing off the wall, I was enthralled. After all, money has energy and alchemy, and the lure of making it can become irresistible and intoxicating. But I learned that accumulating wealth shouldn’t be the sole motive. Freely spending and giving money helps the Universal Laws of circulation, whereas stockpiling it can cause stagnation and fear of loss. For quite a while being an investment banker caused me quite a few spiritual dilemmas – sure the money was flowing in vast amounts – but was it really producing anything of value? Then it occurred to me that banks also invest in new companies and help them flourish and grow which is positive and putting something back. And I also learned that money is simply energy – that’s all. Well, by some magical synchronicity you’ve landed on this website! That means that prosperity beckons…do you feel its pull? Are you ready to invest some time in yourself and your wealth acceleration? I’m living proof that you can. When I left the City I built up a property portfolio with my former husband. When it had to be sold due to our divorce, I re-stocked and replenished so now I have time to write novels and play at FX spread betting from home, mainly for fun. What I’ve learned, and what I help teach my clients, is that loss is an inevitable part of life. We need to let go, be free from attachments and trust in the universe. The green energy of money travels in a magnetic circle – hence the name of my company: MoneyMagnet.Global. I’m here to encourage you to let go of money, to give and tune into giving, to align with your passions and find work that you love. So rather than loan money, instead, give and it will return. Not necessarily from the same source, but invariably multiplied! Want to find out how this will work for you? Scroll down the page and sign up for your Free Report, and get on the list for periodic blog posts. I am a mother of three, with three excitable dogs who adore shredding beds, devouring stuffed hedgehogs, digging and barking at Zilla our long-suffering trans-gender cat. I have an Honours degree in English, Creative Writing and Film, I trained with CoachU and I’m a qualified and experienced TEFL teacher, Soul Realignment specialist and Passion Test facilitator. 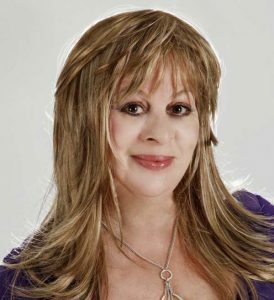 I’ve collaborated with New York best selling author Janet Attwood, on a number 1 best seller called “Inspired by the Passion Test.” My debut crime/mystery novel Spirit of Prophecy is out now and I’m planning a self help book : “Money-stop worrying and start pulling it towards you.” Curious? Take a peek at BooksbyJJHughes, where you can get the Free Opening Chapter of Spirit of Prophecy. So do you want financial freedom? Does financial security and serenity sound great? If so, don’t wait, get in touch – now! Please note: I am not an IFA, I am not qualified or authorised to give investment advice. *In accordance with the Universal Law of Giving, 50% of the net profit (excluding royalties and rights) earned by moneymagnet.global will be denoted to charity. For more details of the charities due to benefit, please see the Resources page. William Boetcher was an eloquent motivational speaker. He was the forerunner of today’s contemporary success coaches such as Anthony Robbins. Boetcker also spoke of the “Seven National Crimes”. Are you guilty of any? Divorce really rocked my world, my finances and, above all, my self-esteem. Jill boosted my confidence and helped me to turn my dire situation around fast. She cut through all the paper-mess (plus my endless procrastinating! ), and together we put a ‘one small step at a time’ six month plan in place. Then, with the help of the “Passion Test”, I discovered what my ideal life would look like. Jill helped me incorporate my real passions into my five year plan. After months of me getting nowhere with my very intransigent pension provider, she had it all sorted in a flash. My debts were paid off, I set aside money to refurbish my cottage, plus an emergency savings account. And now, I’m even saving regularly towards my pension. I am pulling in extra income and well on my way to living my vison and running my own Retro Glamping site. The transformation is incredible and I really can’t thank Jill enough. When I first met Jill I was in a complete spin. I’d devoted a great deal of time and energy into my new business start-up and simply didn’t know where to turn next. I had so many plates up in the air, was constantly on the road chasing opportunities until I became demoralised and depressed. I work in the health industry and had a lot of limiting beliefs around money and caring for others, and how much I could charge for my services. Jill managed to prise me away from the projects that simply weren’t working and weren’t likely to, and she cleared the new path to financial success, turning my business around and getting me to treble my income in a relatively short space of time. I haven’t looked back, and with Jill’s help nor will you.